Hiring foreign experts is beneficial for both your company and your new hire. Worldwide connections and employee diversity will help your company’s global growth. Swedish companies who want to grow their brand and extend their reach to other countries can enjoy the wide range of benefits that foreign experts can offer. Having a mix of employees from a variety of countries can enhance a corporate culture and infuse problem solving with creativity. Workers trained in different countries can bring a new perspective on projects and bring “outside the box thinking” to the table. Most expats are more flexible and resilient than the average employee, and tend to enjoy learning new skills consistently. They are open to growing their expertise when given the opportunity. Currently, many Swedish companies are looking to diversify their office culture by hiring more employees from other countries. 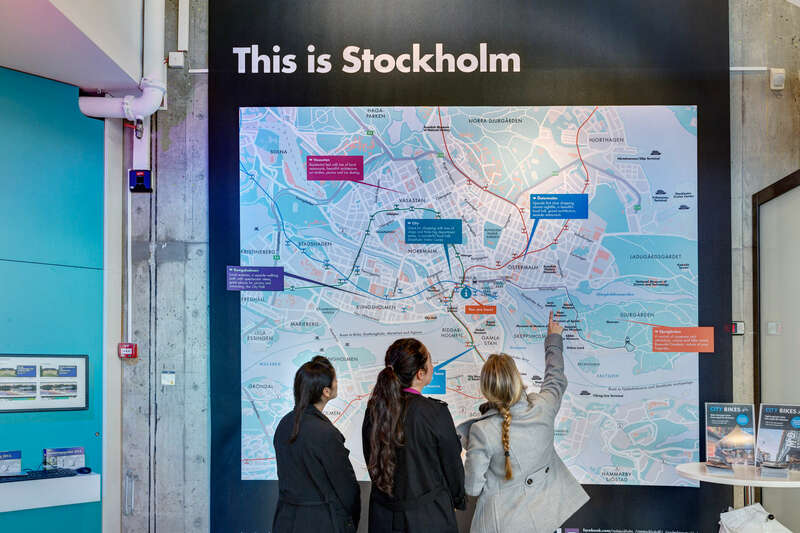 Employing and relocating foreign experts to Sweden can authentically facilitate increased growth at home, and in international markets. All this said, your new hire is also benefiting from their move to Sweden. Sweden is a largely corruption-free economy, with direct access to new products and technology. Workers have strong rights, equality between sexes, generous leave and vacations, and many opportunities for growth within companies due to Sweden’s flat organizations. We have a lot to offer foreign recruits and it’s an easy sell to attract foreign talent. There much to sell about Sweden. If you are thinking about bringing in foreign talent to enhance company growth and stability, it’s a win win for both sides. Swedish offices have many office perks. Your new employee will most likely love the Swedish managerial style and benefits. You can relay that most companies start with 5 weeks of paid vacation, plus a generous amount of public holidays. There are 480 days of paid parental leave, affordable child and health care and equality for men and women, This is a great gift for most global employees. Let you new hire know that Swedes place a high importance on having a healthy work/life balance and a comfortable lifestyle. Swedes work hard and are smart. They arrange their day to pick up their children from school, take them to sports activities, prepare meals, etc. Swedes are generally afforded more free time than many other countries and working parents are supported with generous leave packages and flexibility. Swedes value family time and it is a priority for most. In addition to Sweden being a wonderful place to live, there are additional benefits for employees living the expat life. A new study called "The Shortest Path to Oneself Leads Around the World: Living Abroad Increases Self-Concept Clarity" in the journal Organizational Behavior and Human Decision Processes shows how beneficial living abroad (for an extended period) can be for self growth and understanding. Living abroad can be an expansive experience. Seeing a new culture first hand can give an employee an expanded perspective on how they work and think. This will give them new insights as to ways to be a better employee and contribute new ideas and solutions to their team and company. As an employee learns to live outside their comfort zone in a new country, they gain resilience and the ability to learn new skills. They also learn how to think fast to act appropriately in unfamiliar situations. Think about it, there is a transition period where making a phone call, asking for directions, learning a new office culture, making new friends all has to be learned again from scratch. This takes more mental and emotional energy and helps people to grow in new and unexpected ways. Often, a company will think more highly of an employee who has worked abroad as these employees generally have a broader base of experience and flexibility. In addition, if you are working abroad in upper management you become a member of the "international club" of managers, many of whom will go on to run the growing number of global companies. Expats gain a global network of friends and coworkers which can make their life rich with variety, knowledge and travel.